I did a lot of careful planning and wood selection before I began the work of building this guitar. Its beautiful hand-carved swamp ash body, with quarter-sawn flamed maple neck and Sperzel locking tuners, make the Sapphire a real gem in every sense. 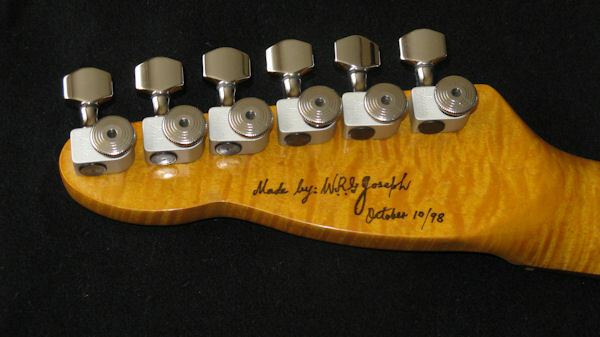 The 3 EMG single coil pickups deliver warm and powerful vintage tones with lots of sustain. 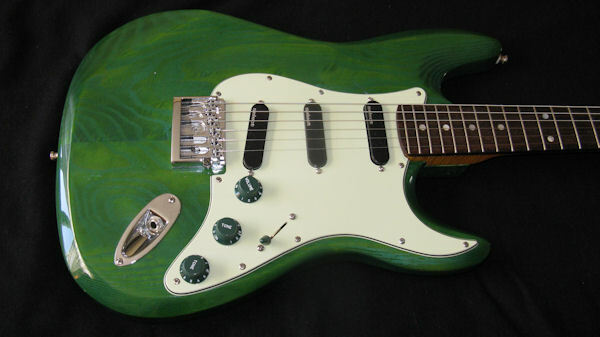 The body has been finished in a vibrant emerald green, while the neck has been finished in a deep vintage amber.. It is a beautiful sight to behold! 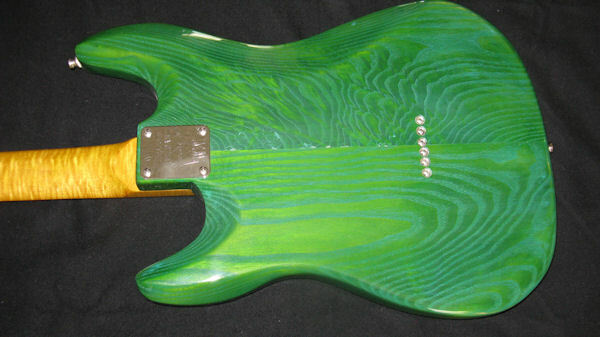 Beautifully carved body, highly figured swamp ash with transparent finish. 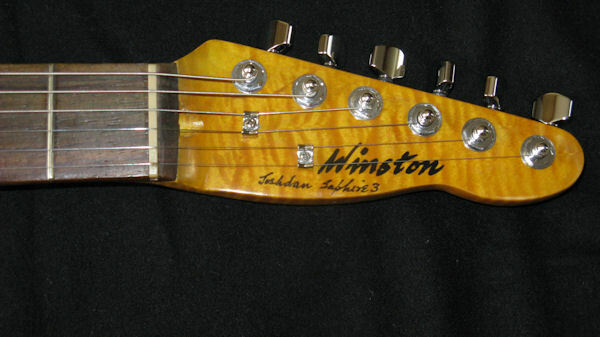 Highly figured flamed maple neck with 2-way adjustable 'Hot Rod' truss rod. Rosewood or pao ferro (South American) fretboard. 22 high quality medium or jumbo frets. 3 EMG single coil pickups. Master volume control, 2 tone control and 5-way pickup selector. Hardtail bridge, non-tremolo, fully adjustable. Choice of Grover Mini Rotomatic or Sperzel Trim-Lok tuners. A whole range of transparent colours are available.